Monday, April 1, 2019 - book sales beginning at 6:30 p.m., panel discussion at 7 p.m. The program at Ferrum College will begin in the Blue Ridge Mountain Room of Franklin Hall at 7 p.m. Book sales will begin at 6:30 p.m. Bishop will talk about the book and show photographs first, and the panel will follow. The evening will conclude with refreshments. This event is free and open to the public. For more information, call Dr. Lana Whited at 540.365.4334 or email lwhited@ferrum.edu. Applying for a passport as an adult, Mary Carter Bishop unearthed a family secret. Having acquired a copy of her birth certificate, Bishop was stunned to see that where it asked, “How many other children of this mother are now living,” her mother had clearly written the number “1.” Bishop had spent her whole life believing she was an only child, only to find out she had a half-brother named Ronnie—the result of what her mother called a youthful “mistake,” a brief encounter with a married man. Bishop’s account of her discovery and reconciliation with Ronnie is the subject of her new book Don’t You Ever: My Mother and Her Secret Son, which the author will discuss at Ferrum College on Monday, April 1, at 7 p.m. A Pulitzer prize-winning journalist and long-time reporter at The Roanoke Times, Bishop will also participate in a panel about how choices for women have changed since her mother’s first pregnancy in 1935. Other panelists will include Dr. Sharon Stein, professor of psychology; Dr. Allison Harl, associate professor of English; and Leya Deickman, a Ferrum senior. Shocked by the revelation of her brother’s identity, Bishop began asking questions and eventually tracked down Ronnie working in a Vinton barbershop; the author found a man suffering from undiagnosed physiological and mental health conditions. Years of neglect and abuse had left him paranoid, self-loathing, and mistrustful of anybody who tried to offer help. Bishop struggled to reconcile the tragic course that Ronnie’s life had taken with how her own had played out: her parents weren’t affluent, but she had always had their support and unconditional love. She’d gone to college and launched a career in journalism, while Ronnie had been shuttled among an orphanage, a foster home, and a hospital that performed electroshock therapy. How could the doting mother whom Mary Carter had known all her life have let her other child spend his life on the margins of society? Bishop, who is a graduate of the Columbia Graduate School of Journalism, was on the Philadelphia Inquirer team that won a Pulitzer Prize for its coverage of nuclear leaks in 1979 at Three Mile Island, Pa. 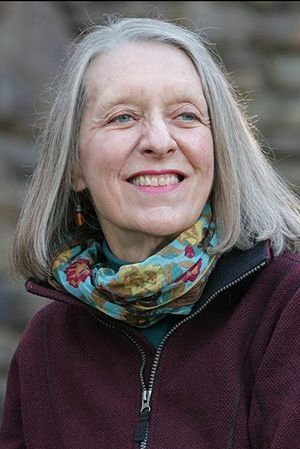 Her series on poisonings and fraud by exterminators and other pesticide users for the Roanoke Times & World News won a George Polk Award and was a Pulitzer Prize finalist. She lives in Roanoke, Virginia.